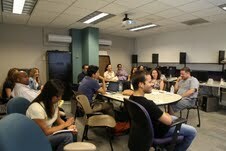 NAHJDC ‏@NAHJDC Radio workshop underway at NPR. 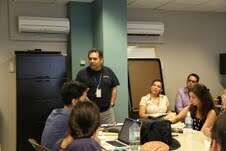 @NAHJ Felix Contreras is leading the workshop. 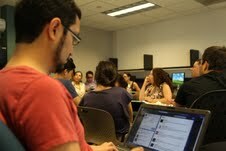 NAHJDC ‏@NAHJDC 18 people are spending their saturday morning learning what makes a good radio story. 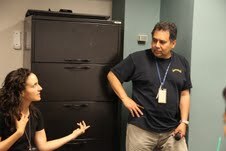 NAHJDC ‏@NAHJDC Contreras says he used different techniques to record a band. Good use of natural sound. A freelancer also recorded rain sound. 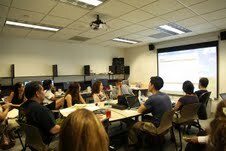 NAHJDC ‏@NAHJDC In his example, he uses the rain as natural sound under the interview. 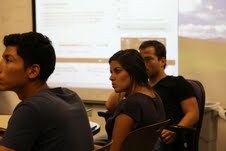 NAHJDC ‏@NAHJDC @felixatjazz : recording yourself asking the interviewee a question can be a useful storytelling tool. it adds drama . 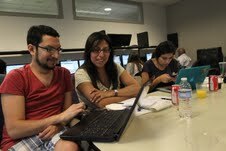 NAHJDC ‏@NAHJDC Hands-on training. We are learning how to edit radio spots. 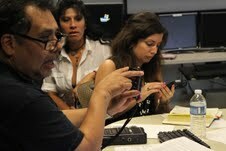 NAHJDC ‏@NAHJDC @felixatjazz is going over audio editing using the MultiTrack Editor program. NAHJDC ‏@NAHJDC Participants are working with elements used on a previously broadcasted spot, an obit for Puerto Rican guitarist Yomo Toro.